This blog was written by second year English with Creative Writing student, Bethany Mitchell. I am currently enrolled in the ‘Arts in the Community’ Nottingham Advantage Award module at Lakeside Arts. The module focuses on volunteering in gallery education alongside Lakeside staff, providing learning opportunities to the public in a gallery environment, encouraging visitors to the centre to develop an understanding of art and galleries in creative ways. 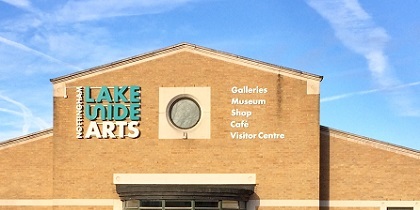 I have been fortunate to fill a number of my required volunteering hours for the Advantage Award by undertaking work at Lakeside Arts as a Trainee Assistant, working on the gallery’s Art Investigator Max (AIM) workshops which provide free family art activities. The workshop (held on Saturday afternoons during term-time, when exhibitions are running) aims to attract new visitors to the galleries and to enrich public visits to them. At the start of the academic year, myself and another Trainee Assistant for AIM had the chance to plan some of these sessions with the Galleries Learning Officer which would tie to upcoming exhibitions, such as Rana Begum’s ‘Space Light Colour’, the annual University Exhibition, and ‘After Camden Town: The Late Works of Harold Gilman’. The sessions offer activities such as print making, collage and building 3D shapes, which have been designed to relate to the exhibitions on offer. As an AIM assistant, I have had the opportunity to run and facilitate a number of these workshops and have seen my creative confidence grow, and my understanding and appreciation of the galleries at Lakeside develop. Aside from my work with the AIM sessions, I’ve also had some great opportunities to learn more about work in a gallery environment as part of the award. 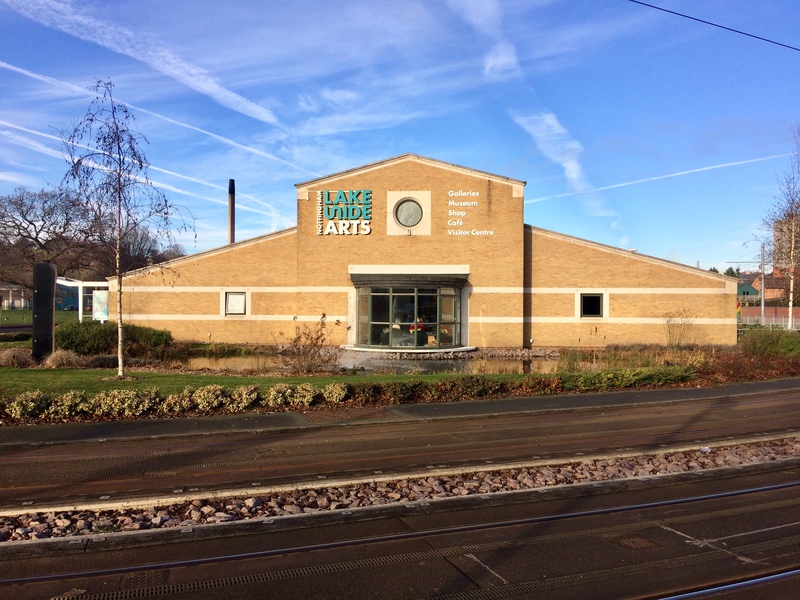 The module offered an introductory session to Nottingham Lakeside Arts, which outlined the diverse programme of art the centre has to offer, followed by a tour of Lakeside and its facilities. Nottingham Advantage Award students have also had tutorials and goal setting meetings, as well as the chance to meet a number of staff in a Q&A session, offering an insight into roles in a gallery context, such as those in education, curation, marketing, retail and visual arts programming including curation and conservation. The module is a fantastic platform for any student who enjoys the arts, or who is considering a career in a gallery context.